The right to the city: the struggle for democracy in the urban public realm by Mark Purcell is available to download free during September. In a lucid and compelling contribution to Policy & Politics, Mark Purcell confronts the progressive liberal line of those who warn of the dangers of austerity and urge the (re)instatement of a welfare state. He argues that while a conventional liberal-democratic state may be more desirable than a neo-liberal state, they both fall far short of what we can and ought to imagine democratic society to be. Drawing on the work of French intellectual Lefebvre, Purcell outlines for citizens a state of ‘autogestion’ – a process and struggle where citizens both individually and collectively take control. They take control not to cede power to oligarchical state institutions or powerful state actors, but instead to co-ordinate in leaderless, non-hierarchical groups analogous to rhizomes – ‘centreless assemblages in which any point or individual can connect to any other’. As Purcell points out, this idea is not some abstract utopian notion of human organisation, but instead a recurrent feature of co-ordinated and democratic behaviour occurring spontaneously around the world in 2011, in sites such as Tahir Square in Cairo, Puerta del Sol in Madrid, Syntagma Square in Athens, and Zuccotti Park in New York. Rather than ‘lamenting these revelations as a failure’, we should, according to Purcell, ‘narrate the exhilaration that participant after participant reported having felt as they refused to be ruled and took on the challenge of ruling themselves… it is that joy and delight in discovering democracy and urban society that we must help to grow and spread’. Purcell focuses on the urban public realm to develop his analysis, and his article is available free of charge in September. 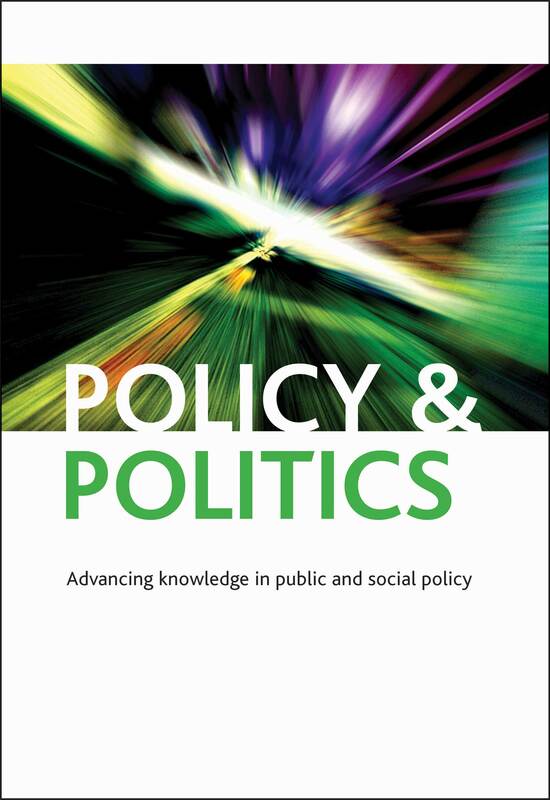 His is one of five contributions to the current themed issue of Policy & Politics (Volume 41, number 3, July 2013,) on ‘reconfiguring the local public realm’. This collection of papers aims to advance our understanding of local and urban governance and democracy through theoretical and empirical exploration of matters such as social movements, political participation, and institutional formation. Contributions are international, taking in global North and South, and are located both in theoretical literature and empirical analysis. Alongside Purcell’s contribution is a detailed empirical analysis of urban activism in Madrid by Andres Walliser; an examination of the potential of participatory forms of governance such as those found in Brazil to proliferate in the global south by Jeremy Seekings; a consideration of the relationships between state and civil society in Norway by Jacob Aars and Dag Arne Christensen; and, in a contribution that very much contrasts with Purcell’s, a consideration of the need on democratic grounds for powerful local government by Colin Copus, Melvin Wingfield, and David Sweeting.